How can Probiotics and Prebiotics Help? Plaguing innumerable people around the world, irritable bowel syndrome (IBS) is a common disorder identified by abdominal pain connected with a change in stool consistency or frequency. Stress, anxiety, diarrhoea, excessive alcohol consumption, caffeine, carbonated beverages, soft drinks and continued intolerance to lactose/gluten are often reasons for IBS. Microbiomes of the gut play an important part in bowel health, and hence issues in the microbiomes lead to Inflammatory bowel diseases. According to Ayurveda, IBS would fit into the category of loss/ imbalance of digestive fire in small called ‘ grahani’. Toxins are normally present and any of the doshas (Doshas are the functional particles categorised into three as Vata/air factors, Pitta/ fire factors and Kapha/ water factors.) may be overpowered in such cases. 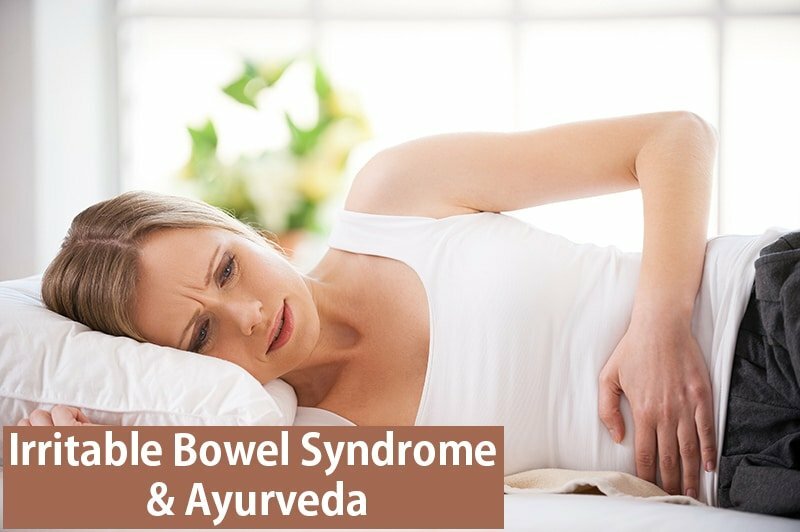 Ayurvedic treatment of IBS involves balancing of the overpowered doshas, restoring the function of the digestive system and the removal of accumulated toxins. As stress is considered a significant cause of this disorder, the treatment also concentrates on guidance on lifestyle and herbs to nourish the mental health and nervous system. Probiotics are microorganisms that aid in digestion. Most fruits and vegetables carry the bacteria which is helpful to digest the foods, we just need to eat them as close to their whole state. Taking a broad-spectrum probiotic, it helps to keep your gut flora maintained. Fermented foods like buttermilk, lassi, yoghurt, sauerkraut and pickled vegetables can help establish healthy flora in certain imbalances. Ayurveda recommends to use buttermilk/ kefir as an antidote for digestive and anorectal disorders. Buttermilk is highly recommended to use along with different herbs and / or Ayurvedic medicines as a food, home remedy or medicine. Prebiotics are food that induce the growth or activity of beneficial microorganisms in gut. Make sure to ingest prebiotics to give the microbiome its own food supply. Using sesame oil, ghee, coconut oil, olive oil and others healthy oils provide prebiotic to the microbiota for creating healthy gut flora. Fibres are also essential for gut flora. Ayurveda recommends to use various green leafy vegetables, fibrous roots and medicinal herbs to support gut. Even though probiotics and prebiotics are helpful in IBS and other digestive disorders, it’s important to choose them wisely. For example excessive use of sauerkraut and other sour food can do harm than good. 1. Fresh fruits, vegetables, and fruit juices reduce the amount of soreness in the lining of the stomach. 2. Consumption of caffeine, alcohol and carbonated beverages should be avoided if you have a digestive disorders. 3. If gas is a problem that persists, you should avoid foods tending to make gas worse, like beans, cabbage, citrus fruits, etc. 1. Consume ginger tea or chew raw ginger for lesser inflammation caused by Irritable Bowel Syndrome. 2. Include one teaspoon of flaxseed in your tea when it is boiling. Drink it at night. 3. One teaspoon of Psyllium Husks (Isabgol) with half a cup of fresh kefir an hour after dinner. 4. Make a paste of 1 teaspoon of cinnamon, ginger and cumin powder and honey. Divide into three and consume 3 times a day. Though home remedies can temporarily cure symptoms of IBS, they are not adequate to address the root cause of the issue. Call Dr Rafeena on ‘0469-928-49’ to book your consultation.